Twyla D. Alvarez was the Treasurer of the Massachusetts Association of Crime Analysts during the first decade of its existence. She took the position in 1999 shortly after she began working as an analyst for the Brookline Police Department. She served the association as Treasurer until 2007. During this time she changed positions twice, serving as the first crime analyst for the Somerville Police Department from 2000 to 2003, and then as an intelligence analyst at the Insurance Fraud Bureau of Massachusetts from 2003-2008. Twyla entered the crime analysis field after an education and career as a neuroscience researcher. Noting that "data are data," she applied her research and science skills to the field of crime and intelligence analysis with an admirable passion. Her experience in the scientific field influenced the great care and thought that she put into her crime analysis work. Twyla's professional development in crime analysis was swift. She became MACA's Treasurer after serving in the field for less than a year, joined the Certification Committee of the International Association of Crime Analysts in 2001, began teaching for the IALEIA/NWC3 "Fundamentals of Intelligence Analysis" course in 2004, and was a frequent speaker at MACA meetings and conferences. As such, she helped educate dozens of analysts working in the field today. Twyla passed away in 2008 after an illness and left behind her husband Pablo and two sons, Daniel and Gabriel. Twyla also left behind hundreds of colleagues who will always be inspired by her intelligence, her passion for service to her community and profession, and her commitment to education and professional development. In that spirit, we are pleased to provide the annual Alvarez Award for Professional Development. The recipient(s) of this award will be selected based on merit and need – most importantly, this award will be based on the quality of volunteer contributions to the professional field. 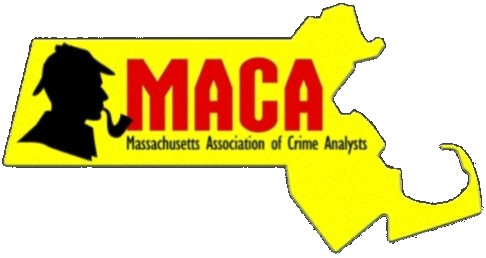 These contributions can be to MACA, the crime analysis field in general, or to the police or criminal justice professions in general. Prospective recipients of this award can be nominated by a fellow analyst or they can nominate themselves. A short narrative explaining why you think you, or the nominated person, is deserving of the award is required. Applicants are also required to attest to the fact that they cannot obtain the support of their employer to attend. Once all applications are received, the MACA E-Board will select the recipient of the award based on the donor’s criteria. Prospective recipients need not be a current MACA member to be considered. This program started with a very generous award made by a donor who wanted Twyla's positive impact in the field of crime analysis to live on. Scholarship winners will receive free conference tuition from the association and four nights of lodging at the conference venue if needed.